Looking for the perfect sofa or sectional? Stop browsing stores and websites...just visit our showroom and design the perfect custom sofa or sectional to fit your style. Huntington House, Rowe, Kinciad and Bernhardt all have custom upholstery programs and all are included in our 4th of July Sale! Huntington House is offering their One Price Solutions event - choose a frame within the Solutions Program by Huntington House and select from the Designers' Choice fabrics so save on select sizes! Save $200 Off Sectionals or $100 Off Sofas from Bernhardt, Kincaid Upholstery and Rowe Upholstery. Bring comfort and sophistication to any bedroom with furniture deals from Cresent Fine Furniture, the Cambridge Collection, Bernhardt, Kincaid, Daniel's Amish and Gat Creek! Save $100 On Cambridge Beds When You Purchase a Bed, Dresser, Mirror, and Nightstand. Save $50 For Every $500 You Spend on Bedroom Furniture by Cresent Fine Furniture, Bernhardt, and Kincaid. Save $100 on Beds by Daniel's Amish and Gat Creek. Create an elegant dining room fit for your family and save during 4th of July! Whether your home calls for traditional, transitional or modern Bernhardt and Kincaid have options galore. 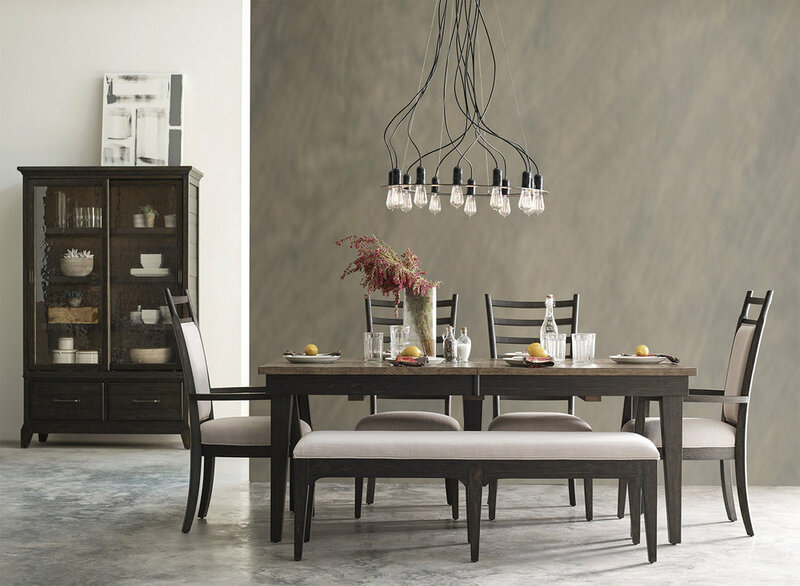 Save $50 For Every $500 You Spend on Dining Furniture by Bernhardt, Kincaid, and Cresent Fine Furniture. Save $100 on Dining Tables by Daniel's Amish and Gat Creek. Outdoor furniture offers endless options. When you're ready to entertain outdoors during the summer weather be sure that you have space for everyone! Conversation sets for an outdoor living space or dining sets for an outdoor meal are available in a variety of styles so we know you'll find the perfect fit for you. Save $50 For Every $500 You Spend on Outdoor Furniture by Belfort Signature Outdoor, Alfresco, Gatherings, and BEAM Firepits. Shop these 4th of July Sales at Belfort Furniture. Sales and specials are valid through July 8, 2018 unless otherwise noted. Visit our Showrooms to view furniture and fabrics!